The BGA’s “Monster Misunderstood” exhibit is in collaboration with the Belmont Public Library’s One Book One Belmont town-wide read of Frankenstein. “Monster Misunderstood” is the featured inaugural show of the BGA’s new gallery partnership with the library. 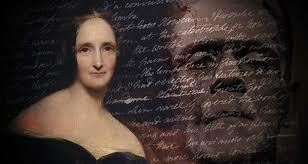 Artists have creatively interpreted Mary Shelley’s classic novel. With themes that include nature, science, identity, prejudice, isolation, alienation and family, Shelley’s Frankenstein–though originally published 200 years ago–still has a resonance to the many difficult issues that face our world today. 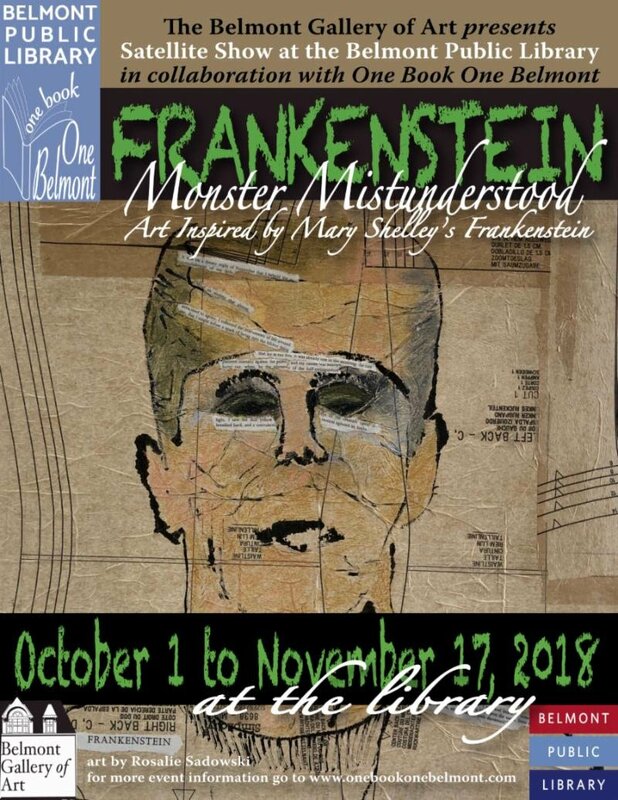 The BGA’s “Monster Misunderstood” exhibit is in collaboration with the Belmont Public Library’s One Book One Belmont town-wide read of Frankenstein. “Monster Misunderstood” is the featured inaugural show of the BGA’s new gallery partnership with the library. With themes that include nature, science, identity, prejudice, isolation, alienation and family, Shelley’s Frankenstein–though originally published 200 years ago–still has a resonance to the many difficult issues that face our world today. The BGA encourages artists to explore such issues and themes in their submissions to the “Monster Misunderstood” exhibit. Both 2 and 3D media accepted for “Monster Misunderstood” including: textiles, ceramics, assemblage, painting, collage,/mixed media, drawings, prints and photography. IMPORTANT! Please note: There is no Prospectus for the Monster Misunderstood show. Call is open to artists 18 and older. Please include Frankenstein Submission in the subject line. Images submitted should be hi-res jpg. Application fee $10 payable at Drop-Off. Deadline for online submissions is Sept. 15 at 6pm. Please contact the BGA with any questions. We look forward to seeing your work. Thank you!